This week’s SATURDAY SIX takes a look at Six Things We Lost From the Theme Park World in 2016. As theme park fans, we’ve had a lot to be thankful for this year. However, as much as we are looking forward to the opening of Pandora and more Star Wars at Disney, or Volcano Bay and the upcoming Nintendo projects at Universal, it wasn’t all good news. This year we had to say goodbye to some old friends. 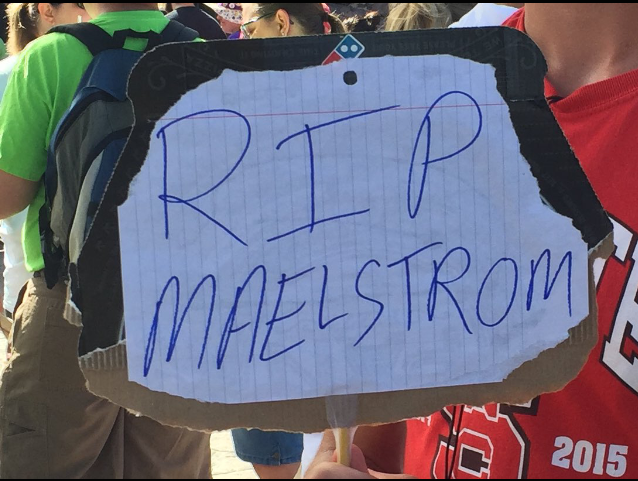 Today we pay our respects to some of those that we lost in the past year, starting with…. While I was never the biggest fan of Beetlejuice’s Graveyard Revue, it did hold a special place in my heart because we got to see the Universal Classic Monsters – including Dracula, Wolfman, and Frankenstein – on stage. Outside of cameos in the underrated Horror Make-up Show and theming inside the Classic Monsters Cafe, these characters are not being used in the park. 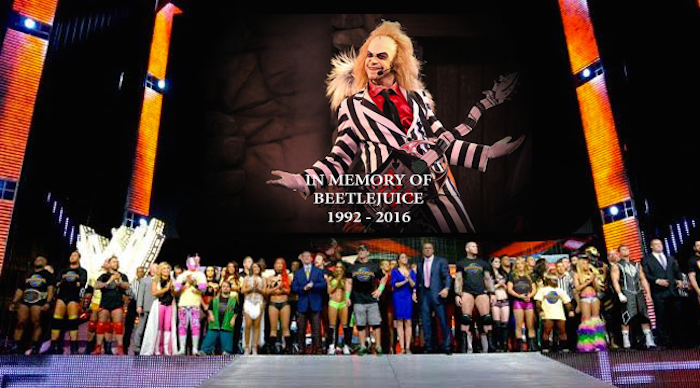 The live show, headlined by Beetlejuice, had been recently revamped with the addition of new characters (including the Phantom of the Opera’s daughter Phantasia) and a new set list of songs. Originally, Universal stated that the show was going to close on December 2, 2015. However, the show got a short lived stay of execution and continued on until January 5th, 2016. 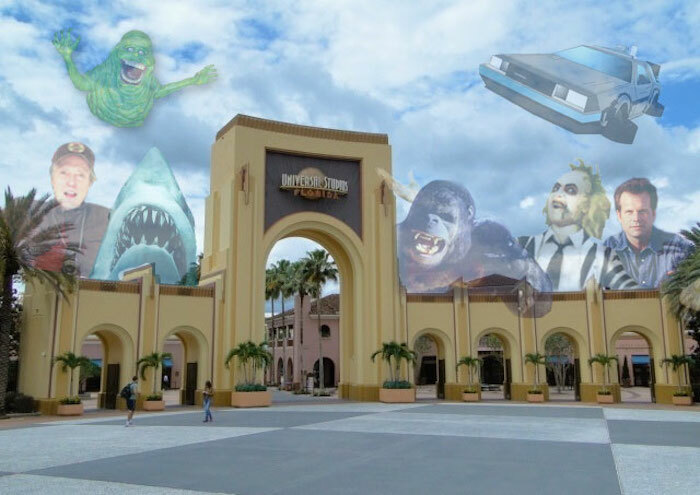 Both Beetlejuice and its next door neighbor Disaster were closed to make way for the upcoming Fast & Furious – Supercharged attraction coming in 2018. DHS fans may want to get a box of Klennex ready, because you’re about to be in for a bumpy ride for the rest of the article. Speaking of bumpy rides (see what I did there) the Lights, Motors, Action! 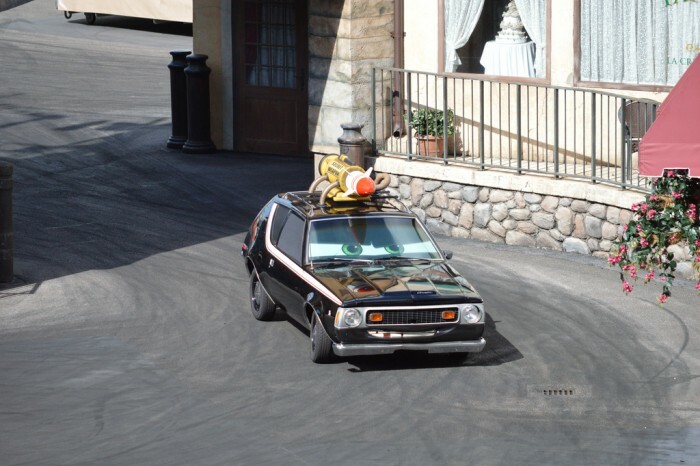 started its run in America as a “gift” from Disneyland Paris as part of the Happiest Celebration on Earth. This is why you should ask for a gift receipt when given something, just in case you want to return it. The Action! part of the stunt show was awesome. 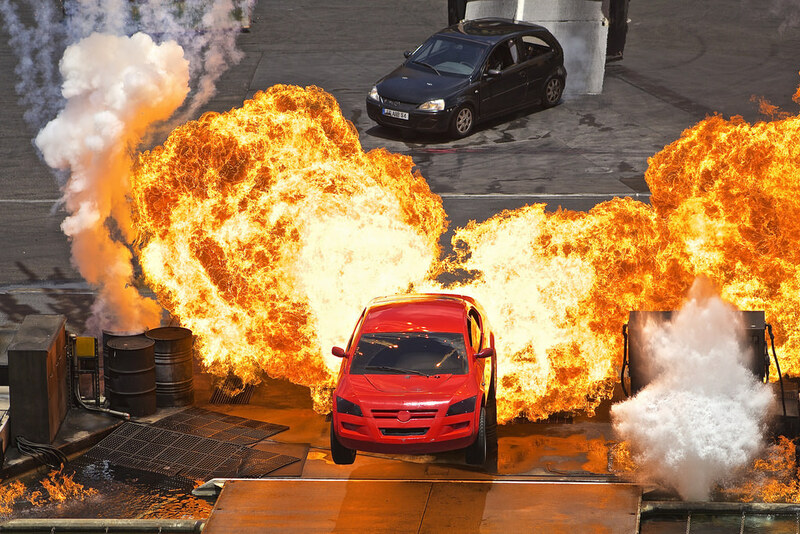 Guests got to see cars and motorcycles in a series of elaborate sequences that involved crashes, jumps, and even explosions. Unfortunately the “action” only took up about 7 minutes of the near half-hour show. Like a real movie set, a lot of time has to be spent setting up the next stunt. 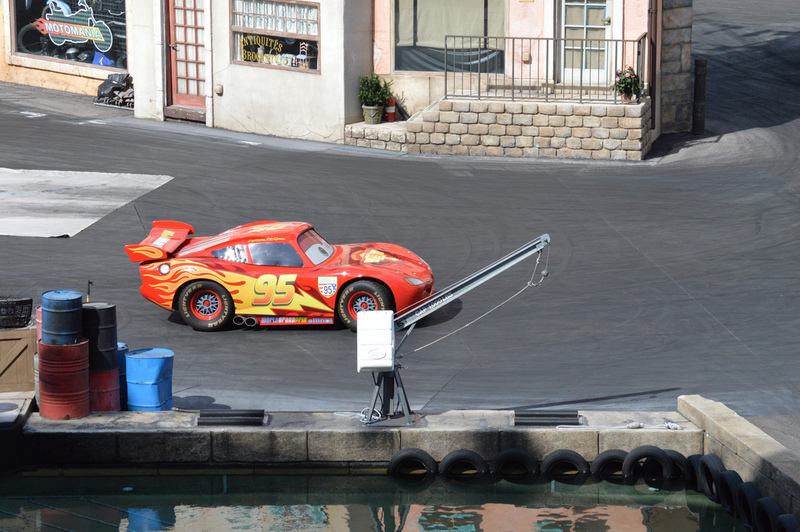 In 2011, the show added in a segment featuring fan favorite Lightning McQueen from Cars. On April 2, the Lights, Motors, Action! show performed its last stunt. In its place will be the new Star Wars Land. 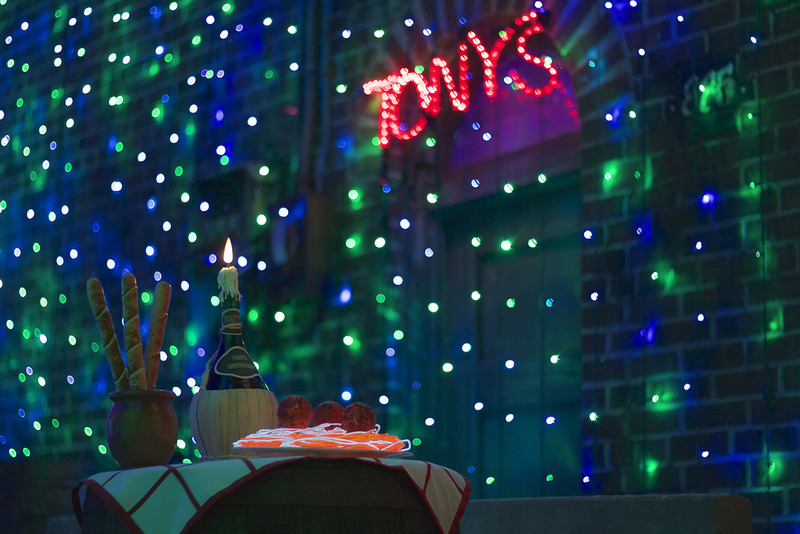 From a true spectacle in Lights, Motors, Action! we go to the complete other end of the spectrum with the Writer’s Stop. 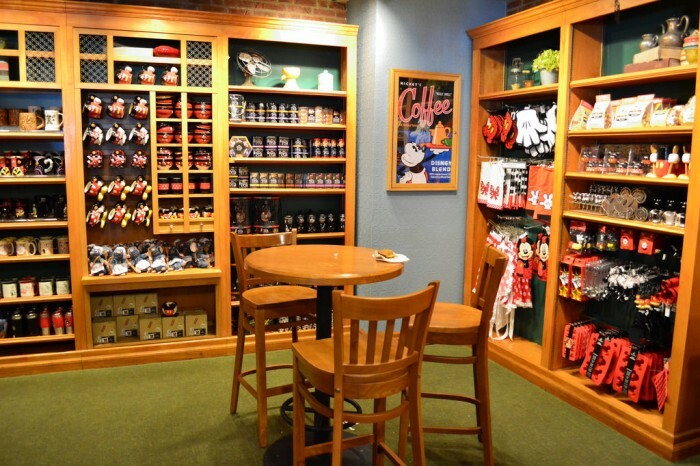 One of the most overlooked gems inside the park – almost hidden in a tucked away spot adjacent to Sci-Fi Dine-In – Writer’s Stop was a quaint little coffee shop that offered you the opportunity to just unwind and sip on a cup of joe while reading a Disney book. 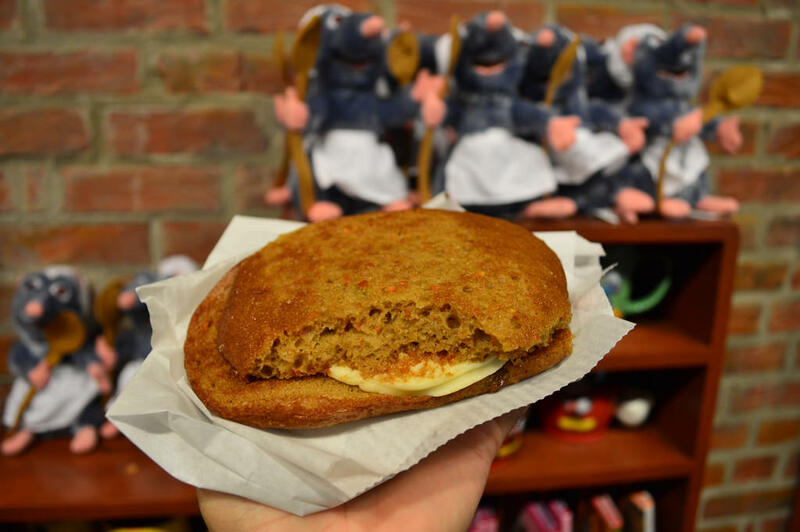 While the Writer’s Stop offered a bunch of treat options, the signature carrot cake cookie is why we went out of our way to stop by. The layer of cream cheese between two carrot cake cookies made us exert audible sounds of joy as we bit into it. While the rest of the park was filled with hustle and bustle, Writer’s Stop was a reprieve from the madness. While other Disney venues were changing chairs to make them less comfortable (in order to get people to leave faster,) Writer’s Stop had comfy couches. So help me God, couches! Unfortunately, the world came fast at Writer’s Stop in 2016. The comfortable seating and books were removed to make way for the same Mickey kitchenware you can get in a hundred stores at WDW. For a brief period of time it even became the Writer’s Stop Lounge, offering alcohol to guests waiting for their table at Sci-Fi. On September 25, the Writer’s Stop served its last carrot cake cookie. 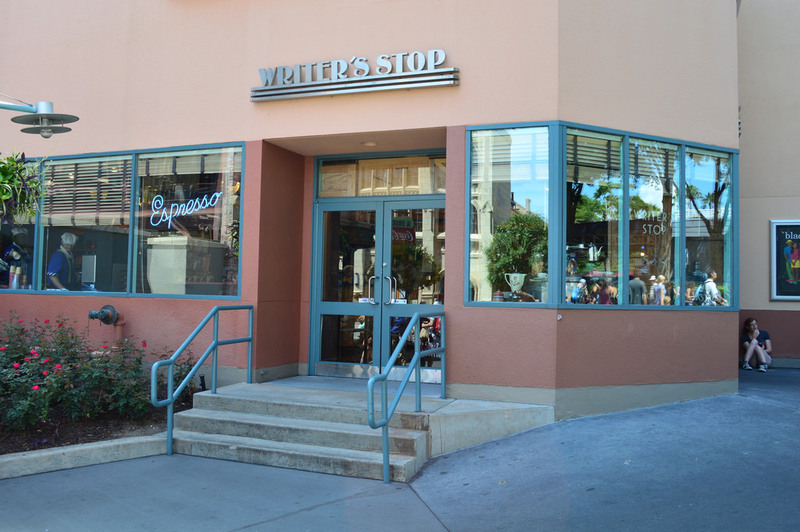 It is unknown if Writer’s Stop will re-open after Star Wars Land opens, but even if it does the Writer’s Stop we all fell in love with is already gone. We aren’t going to talk about the period of time when Writer’s Stop was turned into a defacto waiting area for Sci-Fi Dine-In and offered things like a charcuterie board. We don’t speak ill of the dead. Universal Studios Florida has several major projects going on inside the park. There is the aforementioned Fast & Furious – Supercharged in the San Francisco area, and there is also major work being done where Twister was in to prepare Race Through New York with Jimmy Fallon for 2017. 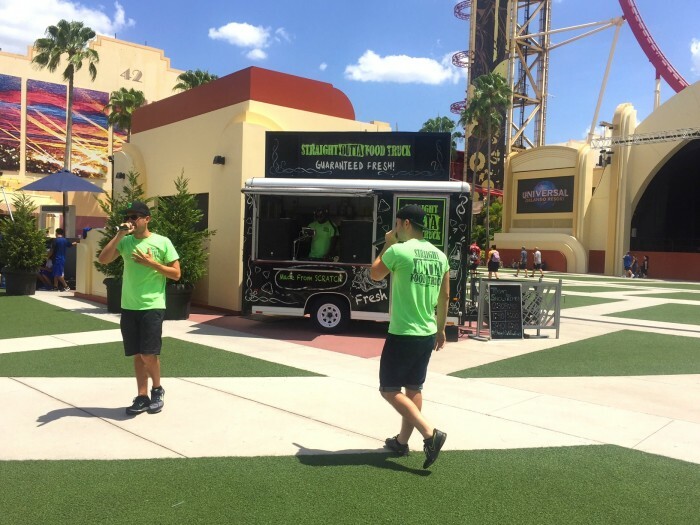 With two former rides unavailable to guests, Universal brought in several shows to entertain people in the streets. One of these shows was Straight Outta Food Truck. 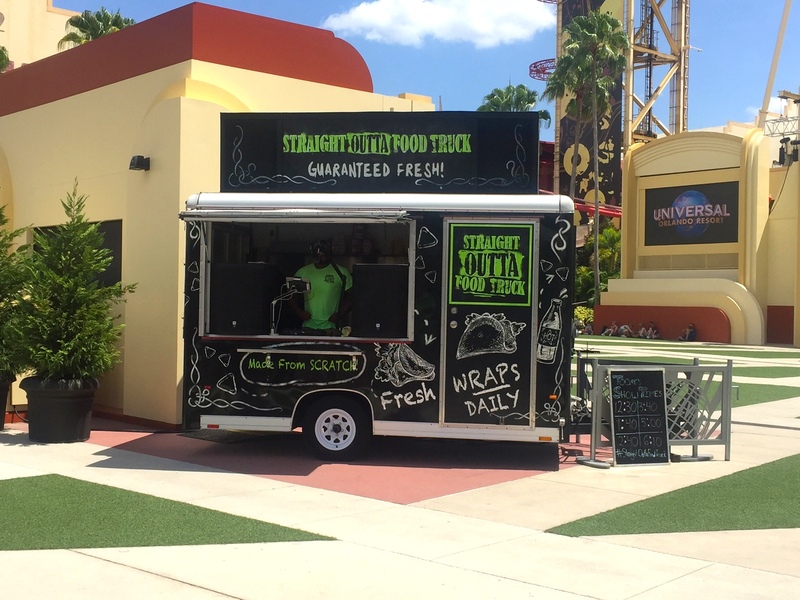 Featuring a group of family-friendly hip-hop artists, Straight Outta Food Truck relied heavily on humor and puns, while doing a lot of interaction with the crowd. On July 30th, Straight Outta Food Truck dropped its last mic. Heaven needed five million lights. The Osborne Lights at DHS were a miracle. They took the Streets of America, one of the most boring parts of any Disney park, and for two months turned the entire area into THE GREATEST THING AT WALT DISNEY WORLD. 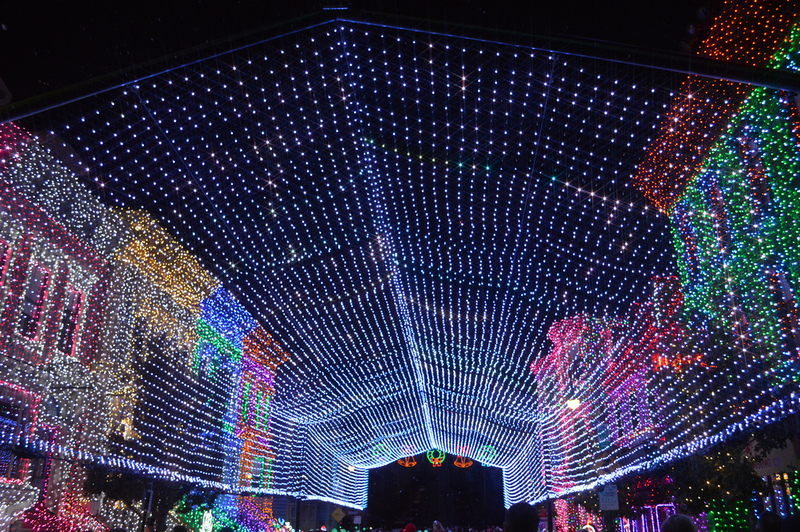 Walking into The Osborne Lights was like nothing else as you were enveloped by the lights. Walking around the area was to be in a constant state of awe, but amidst all the overwhelming amount of lights were a whole bunch of incredible Disney details such as hidden Mickeys and the famous “black cat.” One of the biggest highlights of any Osborne Lights experience though, would have to be the dancing lights. Several times per hour the entire area would be synchronized to a Christmas song and it was simply amazing. 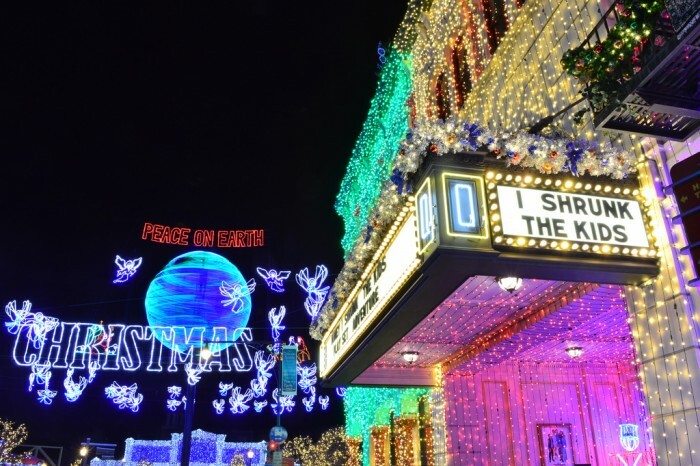 The Osborne Lights were the definition of The Disney Difference, as it took something we have all experienced a thousand times and made it into something truly magical. On January 6th, the Osborne lights danced for the last time and the entire area was demolished to make room for our new Star Wars Land overlords. 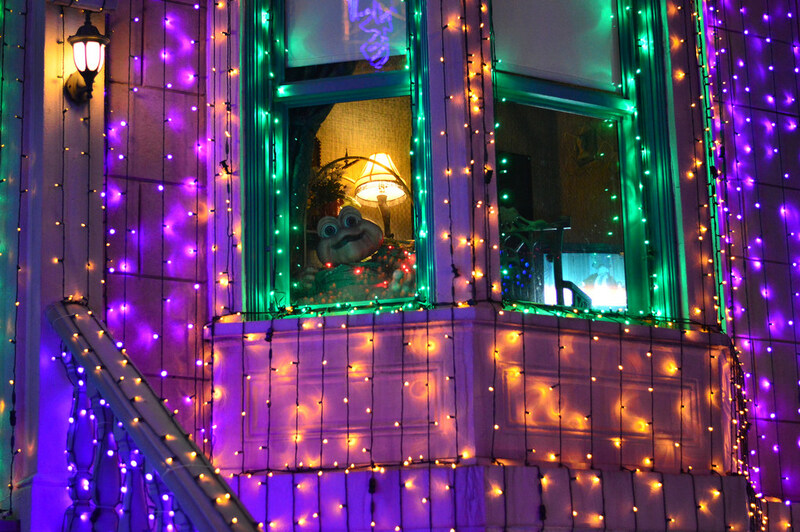 So many great tributes every year in the Osborne Lights, such as this window having shout outs to the old tv show Dinosaurs along with “the leg lamp” from A Christmas Story. 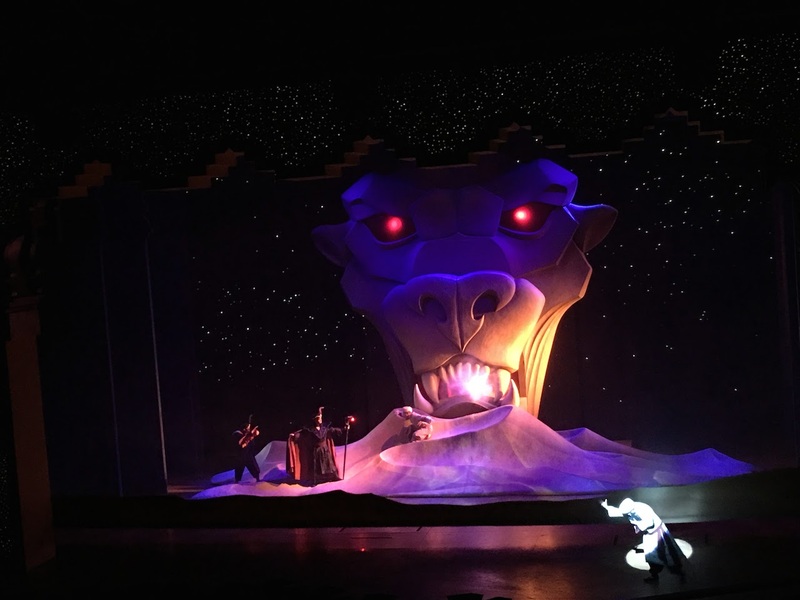 The most elaborate show staged at any stateside Disney theme park, Aladdin – A Musical Spectacular had all of our favorite songs along with an extremely creative use of the stage. 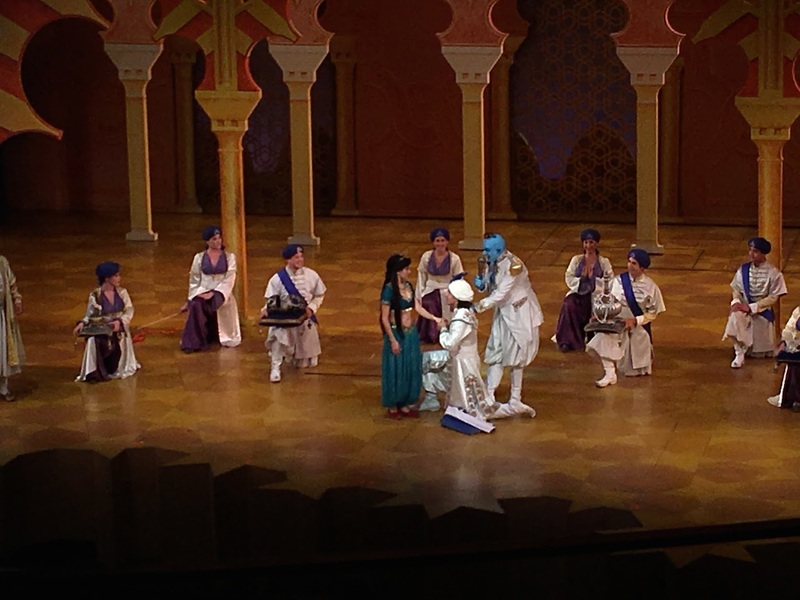 Just like the film it is based on, the real star of the Aladdin stage show was the Genie and his up-to-the-minute pop-culture references. Us theme park bloggers love to describe any show at a theme park or on a cruise as “Broadway caliber,” but in this case the description is apt. The performances by the other lead actors and actresses were spot on, there was wonderful costuming, and it was always a marvel to see the big production set pieces along with several how did they do that moments. 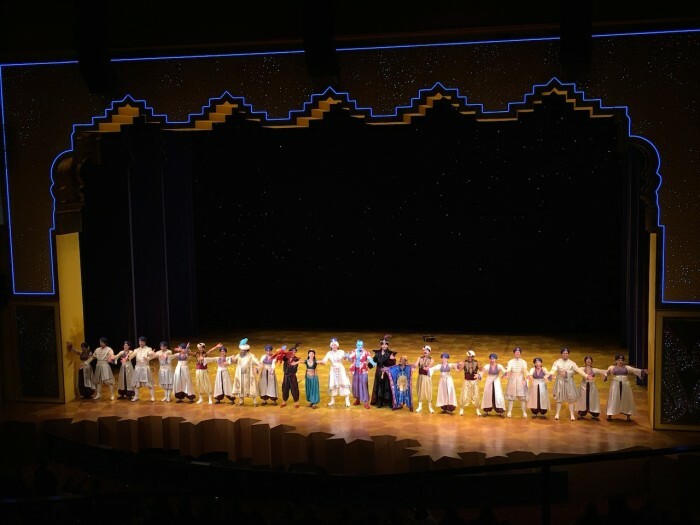 Aladdin was the gold standard of theme park stage shows, period. 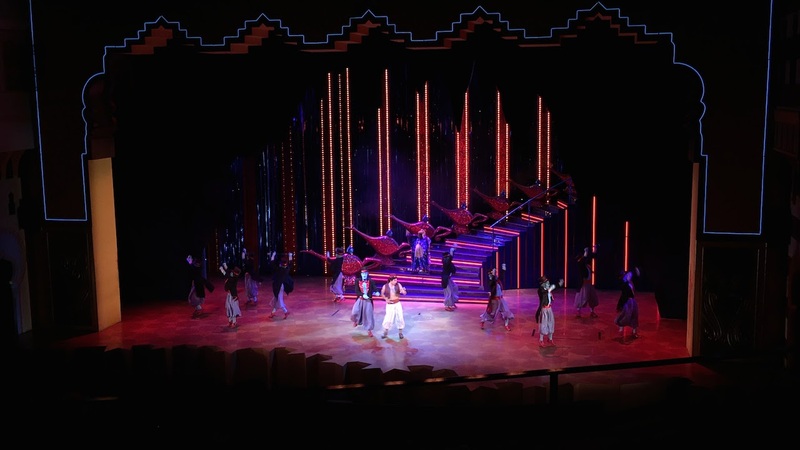 On January 10, Aladdin and the Genie sang their last song together as the Hyperion theater was changed over for Frozen Live. This probably should have been a bigger deal, as on April 29th DHS removed – for the first time ever – a Disney park icon. A lot of merchandise over the years have used the Earffel Tower along with EPCOT’s Spaceship Earth, Animal Kingdom’s Tree of Life, and Magic Kingdom’s Cinderella Castle. For now, the Hollywood Tower of Terror has become the new “face” of DHS, but we could be seeing another icon soon once Star Wars Land opens. 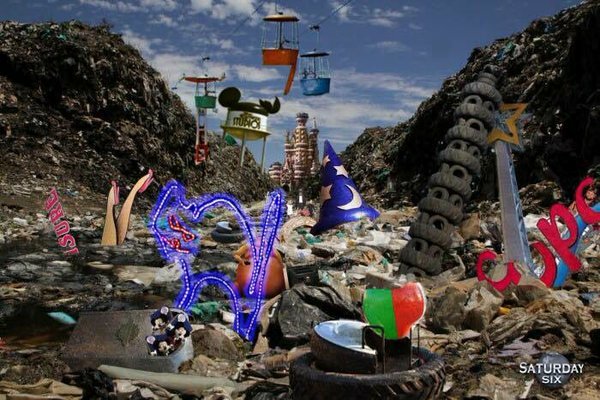 The Earffel Tower joins many of our favorites in the Disney Dump. 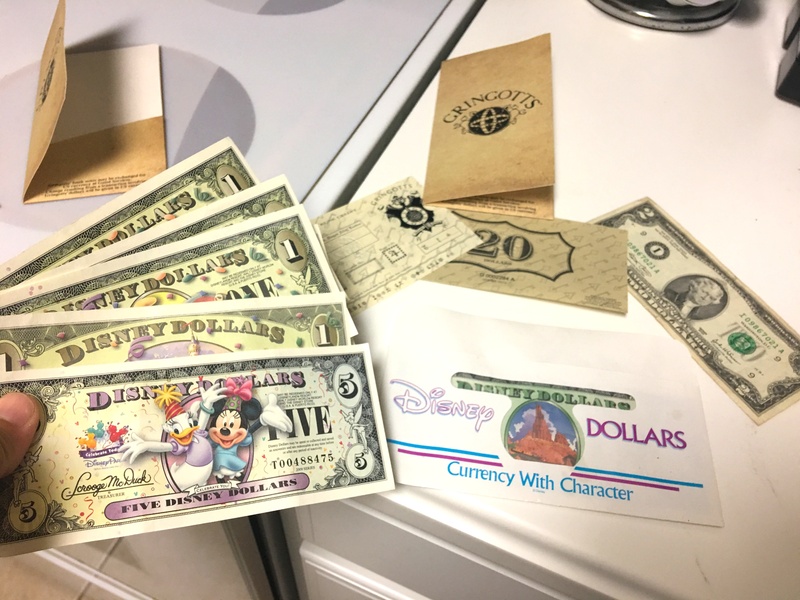 One of the most ingenious theme park ideas of all time came back in the late 80’s when Disney introduced Disney Dollars. 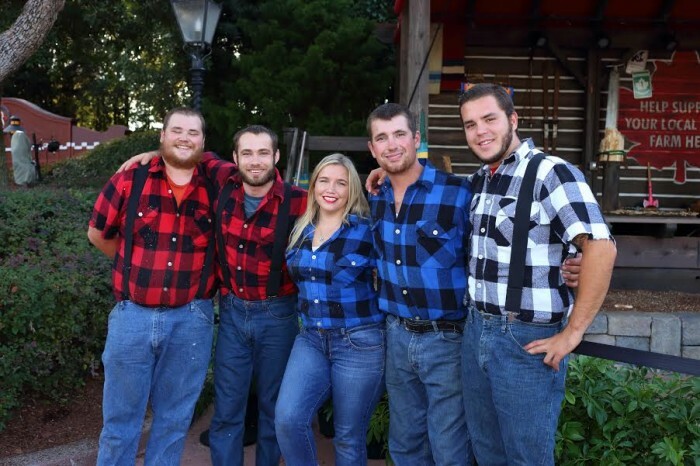 Guests would exchange, at a 1:1 rate, their real dollars for money that could only be spent at Disney. The dollars themselves were very similar to our American currency, and became popular to the point where even The Simpsons had a joke at their expense. One nice feature about Disney Dollars is that you could use them at pretty much any location that was Disney owned. This includes hotels, restaurants, gift shops, and at both Walt Disney World and the Disneyland Resort. They also made for a relatively cheap souvenir to bring back home to friends and family. On May 14th, Disney stopped distributing Disney Dollars, but those in circulation can still be used in Orlando or Anaheim. My girlfriend laughed when I invested in theme park currency instead of a 401k, but I ask this….WHO’S LAUGHING NOW?! While not directly theme park related, Disney shockingly stopping production of the Disney Infinity game system in early May affected a lot of theme park fans. In fact, one of the early selling points of the game was the theme park-like environments gamers could create in the “toybox” area. After the announcement, Disney Infinity figures were immediately clearance by sellers such as Best Buy, along with showing up at the Disney Outlet Stores in Orlando. While personally I have never played the game, I absolutely love the art style used on all the figures and have picked up many with the prices being slashed. With Star Wars, Marvel, and Disney characters like Wreck-It-Ralph, Aladdin, and The Incredibles all represented, it is one of the coolest line of figures out there. 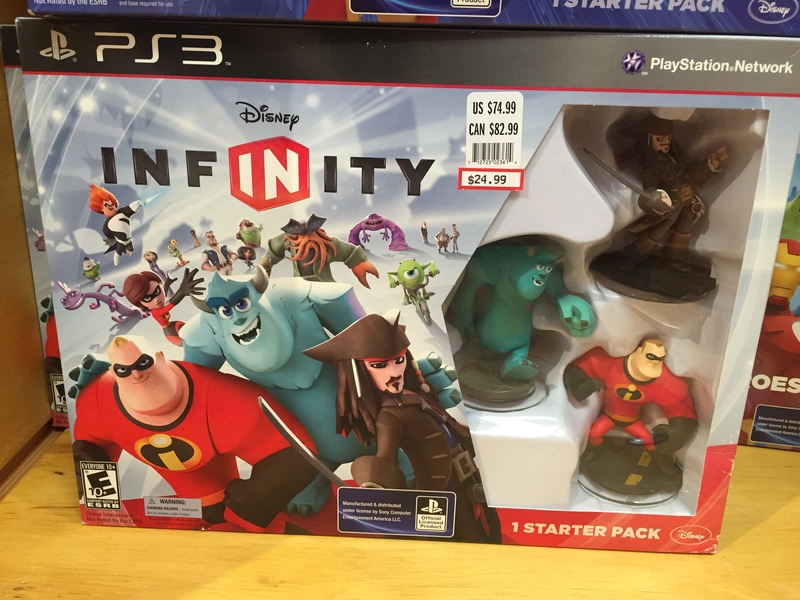 Disney Infinity at the Disney Outlet Store. RIP Maelstrom guy during the opening of Frozen Ever After is the spirit animal of the SATURDAY SIX In Memorium. Special Thanks to crack staff photographer Brandon Glover, #blocked and reported for spam Michael Sheehy, Long suffering Jets fan @Drubov, Long suffering Tony’s Town Square fan Brian Carey, and blogger to the stars Megan Stump for their invaluable assistance with this article. Be sure to also check out Brandon on The Park Blogger podcast with co-hosts Aengus Mackenzie along with Meg’s work with the Central Florida Slug Club. FINAL PLUG! Did you know The 2017 Unofficial Guide to Universal Orlando has a special edition of the SATURDAY SIX in it? That’s right, a NEW one, even NEWER than the SATURDAY SIX that was in the 2016 edition! Finally, someone came up with an actual reason to read a book. PRE-ORDER this baby now! Thanks for sharing this. Living on the West coast means that we don’t get many chances to visit Orlando. Fortunately we did in 2009. My daughter LOVED the Osborne Lights and she was a jaded teenager at the time. We did see Aladdin many times over the years and always found new ways to appreciate it. Very sad it closed. Losing the Osborne Lights was a huge blow. My boys are not fans of the Studios but they loved the lights at Christmas time. We likely won’t bother with this park until the new attractions are opened. What about Main Street Electric Parade?! The MSEP isn’t gone, it is just going cross country to give Disneyland another attraction because they didn’t have enough already. I’m 100% absolutely not bitter about it at all. I’m hoping Magic Kingdom gets a new nighttime parade for 2017. Derek, you should do a follow up article listing the Six Best Additions to the Theme Park World in 2016. 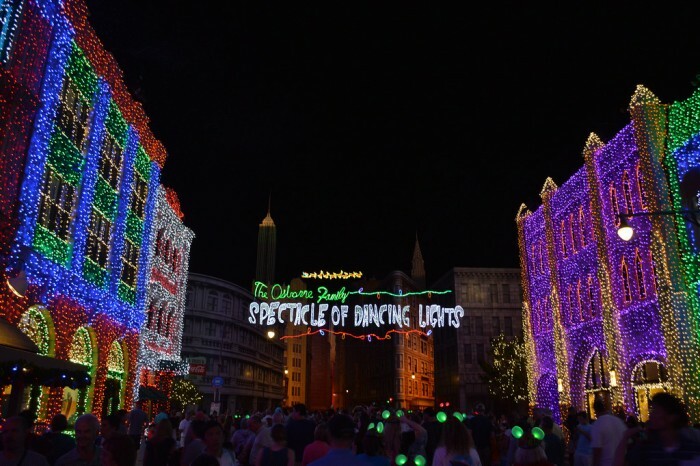 I am really mourning the loss of the Osborne Lights. That was the highlight of many Christmas season trips to WDW for both my husband & myself. Wouldn’t it be wonderful if Disney could come up with somewhere else in WDW to put them?! They’ll bring it back but it will be an after hours special ticket event. As a Christmas light aficionado, I really regret not being about to get to Disneyworld at Christmas time to see the Osborne Family lights. I hope it gets transplanted elsewhere. Last week, while standing in line for lunch at DHS, I was in the position of having to tell a gentleman much older than I that the Lights, Motors, Action! show was no longer. He and his wife had recalled it fondly from a past trip and had planned their day around seeing that show. Somehow that made it worse for me that day. The other changes around DHS were a little disconcerting. We talked around past Star Tours toward Muppets 3D (and the bath room in between) and I had to turn around a couple of times. I was standing next to a blank wall, but a year and a half ago, it was snack stand where we had bought mickey bars and the city “building” that had been there then was now only about 10 feet tall. And of course the alleyway between, where Mulch, Sweat, and Sheers was performing on the previous occasion was now blocked off. Of all of those… the Writer’s Stop really hurts! 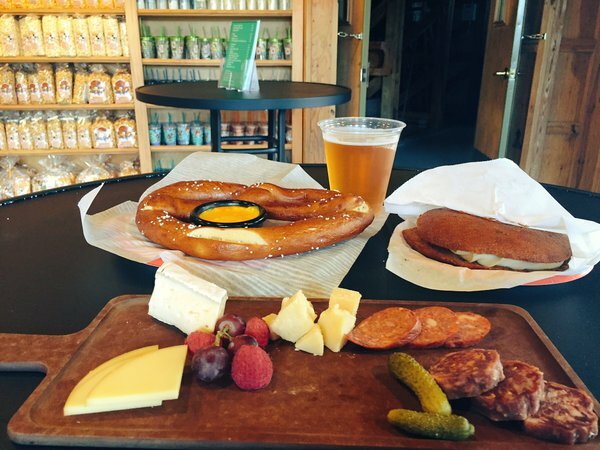 I just LOVED that place, and the fact that it was an “unknown gem” made it even better. Oh well, I guess I’ll have to “hide out” at the DVC Lounge in Epcot now!